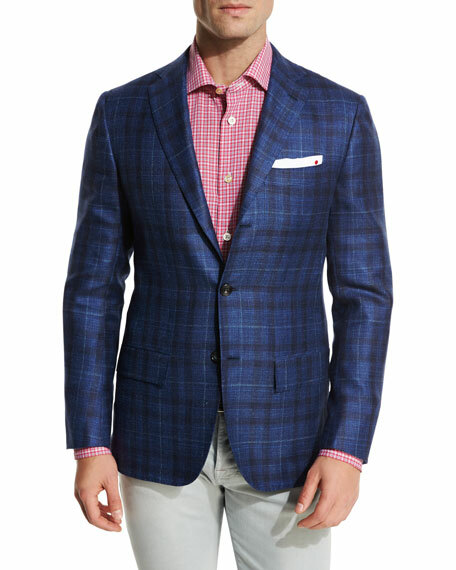 Kiton sport coat in exploded plaid. 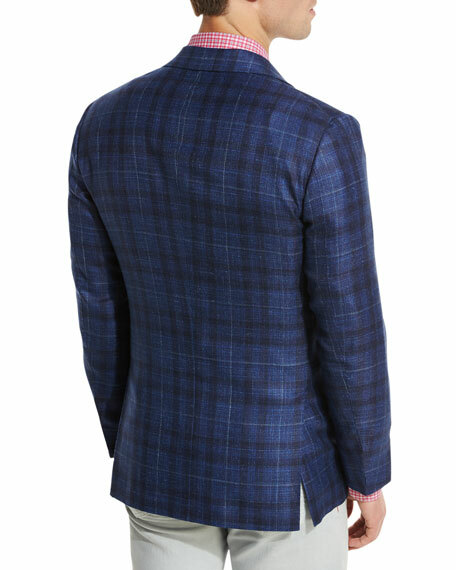 Dsquared2 sport jacket with logo-print side stripes. Stand collar; two-way zip front. Side slip pockets. Straight hem. Virgin wool/viscose/rayon/spandex. Lining, polyester; pocket lining, cotton. Made in Italy. DSquared2 denim jacket with studded details. Spread collar; two-way zip front. Long sleeves; button cuffs. Western seaming. Front flap pockets. DSquared2 denim jacket with studded details. Spread collar; two-way zip front. Long sleeves; button cuffs. Western seaming. Front flap pockets. Slim fit. Cotton/spandex. Made in Italy.